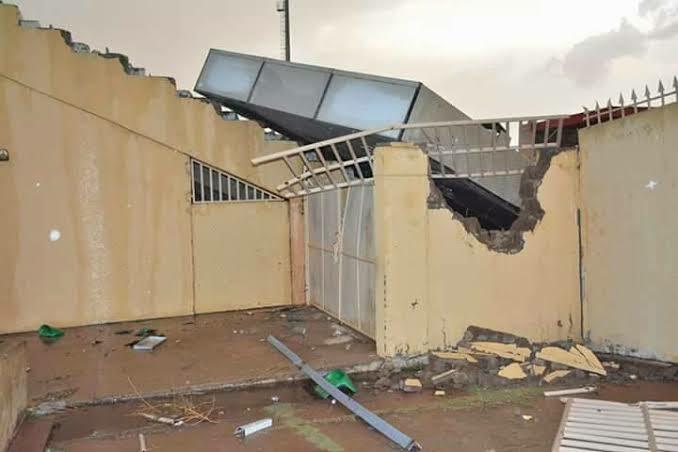 The Kwara State Government has approved the reconstruction of the collapsed fence of the Kwara Stadium Complex damaged by rainstorm few months ago. The Commissioner for Sports and Youth Development, Muyideen Alalade, made the disclosure to the News Agency of Nigeria on Thursday. He said other facilities, including the electronic score board and floodlights would be fixed as soon as possible. NAN reports that a heavy rainfall damaged a large portion of the Kwara Stadium Complex in March. The downpour completely damaged the ultra-modern scoreboard and the whole of the western perimeter fence of the old wing of the main bowl.